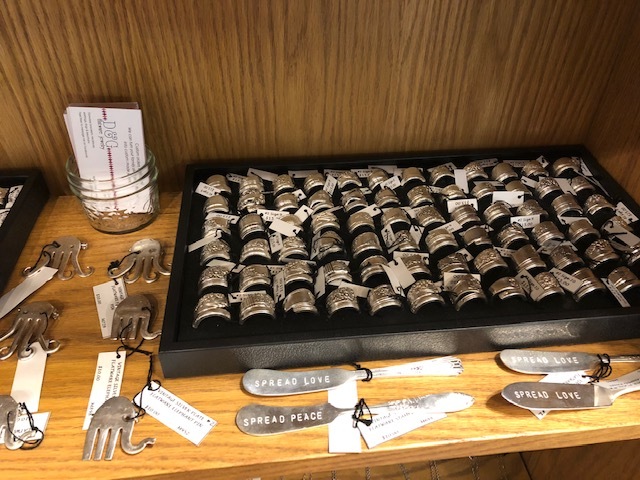 We started out with just bracelets made from the handles of spoons or forks and decorated with stones or crystals. 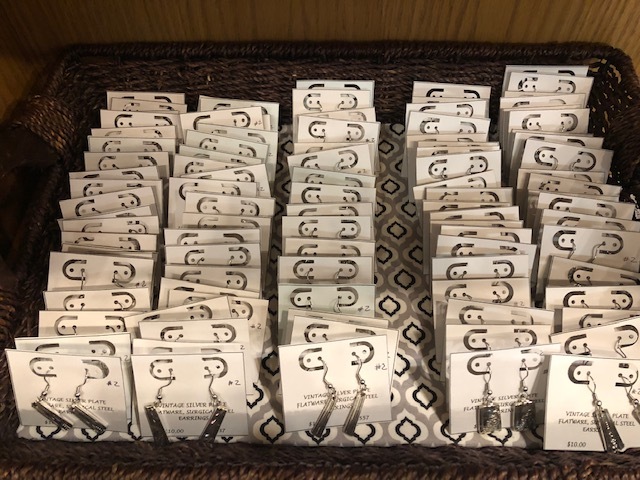 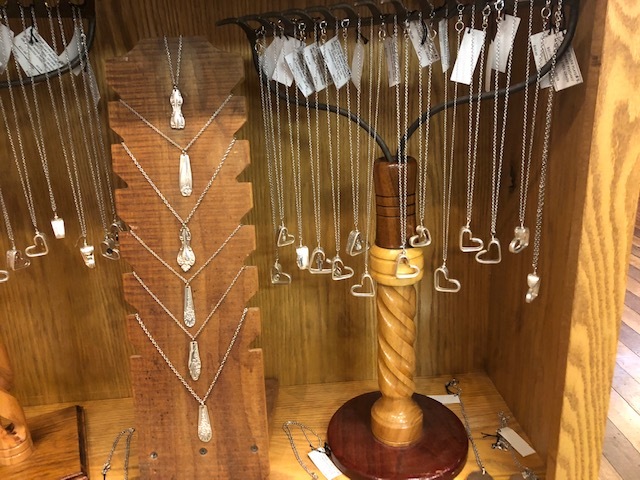 This quickly expanded to include un-decorated spoon/fork handle bracelets, necklaces made from the hollow knife handles or spoon/fork handles as well as earrings, key chains and rings . 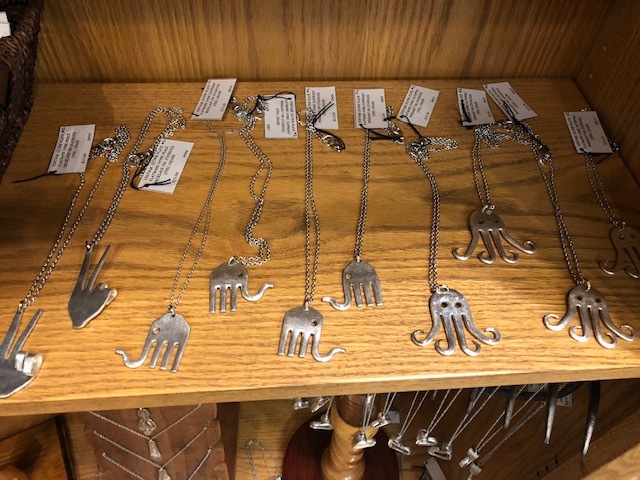 . . We have added an even wider variety of items since then including wind chimes, flattened hollow knife handle bracelets, fork bracelets, stamped silverware, corn on the cob holders, etc.” Gina and her husband Dan accept custom orders using family heirloom silverware. 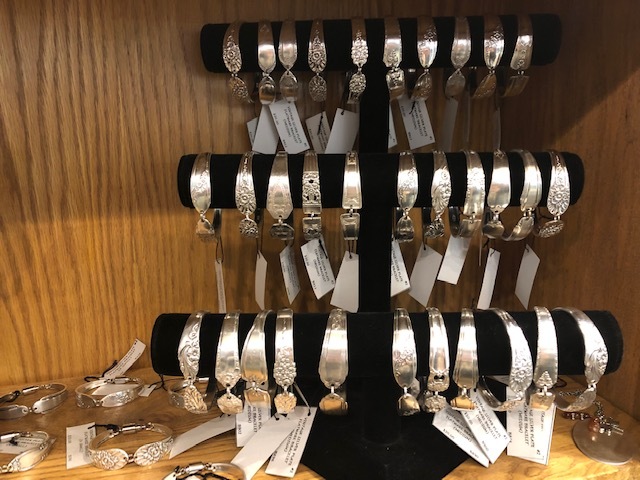 Follow them on Facebook at D & G Flatware Jewelry for information on upcoming shows.